MI-BOX Brick Mobile self storage offers a less expensive alternative to traditional moving and storage companies as well as exceptional customer service. The MI-BOX portable storage units are new, safe, secure, durable and weatherproof. MI-BOX is a U.S. based company that has been around since 2004. We have been manufacturing our own mobile storage boxes since our inception. Each box is built in the United States under the strict quality control measures using the latest technology and manufacturing methods. Additionally, each mobile storage unit in Central New Jersey is delivered with our state of the art patented Levelift System. It gently places our storage containers on any surface, in any weather and always keeps your container level. This protects your driveway and contents from shifting during the loading and unloading process. Your items are safe and secure with MI-BOX. We have the newest and most durable self-moving storage units available, the most efficient level lift system in the business and customer service that is second to none. MI-BOX expanded throughout the United States and Canada by offering our products and services through a dealership network. Each dealership is locally owned and operated and will deliver the best customer experience and prices.. every time. That's why you should call MI-BOX in Brick, NJ for all your moving and storage needs. They can be stored at your location or we can store them for you. Each self-storage box has large doors for easy loading of even your biggest items. They are secured with a lock that only you have the key for. Each self-storage unit comes with attractive white DuraPlate wall panels that will never hold moisture or mildew. You can load your own MI-BOX at your own pace or MI-BOX professionals can schedule a professional moving company to load it for you. 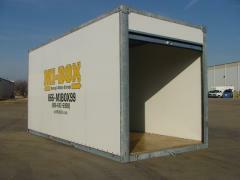 Brick, NJ Self-Storage by MI-BOX is simple and easy. If you ever need access, you can simply come to our self-storage center or we can drop it back off at your home. It's simple - It's easy - and best of all its affordable. Then compare MI-BOX any other local moving company in NJ. The choice is simple and clear. MI-BOX will deliver the best service guaranteed. Looking for moving companies in Brick NJ? Need storage in between moves? No problem. We can take your moving container back to our secure storage centers for safe keeping. It's very affordable as you only rent the space you need and pay by the month. Then look to the newest and most convenient way to move, store and more with MI-BOX self storage containers in Brick, New Jersey. We deliver the moving container to you. You take your time to load anything you want to move. Then, we pick up the loaded container and move it to your new home. No long term contracts, No deadlines and No hassles. You'll be greeted by our local professional moving company’s personnel who value your business. We'll give you cost effective options for all of your moving needs. No pressure sales or variable estimates. You'll always get fair and accurate prices on all your moving needs with MI-BOX Mobile Storage & Moving Company in Brick, NJ. You can even check prices on line or book on line by visiting www.getmibox.com or click on the Get A Free Instant Quote. We have the most cost effective and convenient moving solutions for all of your needs. Mobile storage containers give you the time and flexibility that will reduce your stress. Get the Service and Prices You're Looking for with MI-BOX Moving and Mobile Storage. MI-BOX Mobile Storage & Moving posts regular updates to our social media pages on google+, facebook and youtube. Stay up to date with our latest moving and mobile storage specials in Brick, NJ by visiting one of our sites today. Looking for the best Self Storage options in Brick, NJ? Then look no farther than MI-BOX Self Storage. Unlike traditional self storage, MI-BOX self storage will deliver a secure mobile storage containers right to your home or place of business. 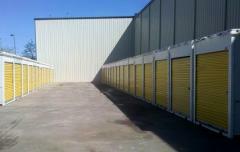 We have 8 ft. 16 ft. and 20 ft. self storage units, so you can rent the size you need. Our mobile self storage units are rented by the month. They're secure enough to withstand any weather conditions and only you have the key. 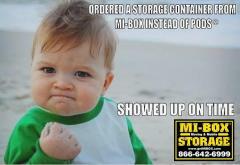 MI-BOX mobile Self storage units can be kept at your home or place of business or we can store them for you. Save time by having the self storage delivered to you. Save money because there are no truck rentals. Relax and load when your schedule permits. Rent by the month just like self storage. Every detail in place. Laughing. Dancing. Memories in the making. Celebrations leave lasting impressions. The design and craftsmanship of Sperry Tents reflects the significance of life’s important moments. Whether you’re planning a wedding on Cape May, a family reunion in Far Hills, or a corporate fundraiser in Princeton, Sperry Tents New Jersey provides a wide range of tents, flooring, lighting, and accessories for every imagination. Our experience and customer service combine to ensure a successful outdoor event.